This was one of two times I donned a uniform since early December. For a dining out. Photo courtesy of our friend Paige. This is a post I originally published at GeekMom on March 5, 2014. I’ve made a couple modifications for context. I don’t care for housework. I understand it’s a fact of life and I do get a feeling of accomplishment when everything is clean. Thirty seconds later, the boys (and/or Howie) come home from the park and undo it all. Oh well, at least I tried, right? 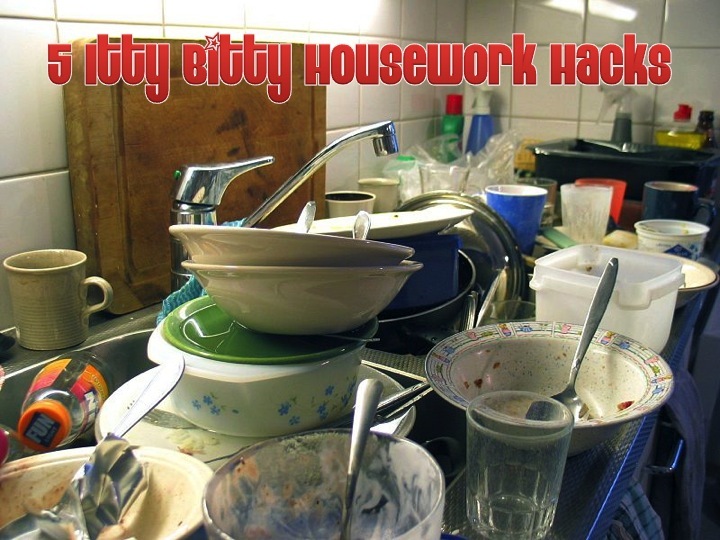 Over the years of keeping my own home, I’ve come to rely on numerous “life hacks” that buy me a few minutes of time savings (and sanity) from housework. The images you see in this post are snapshots from around my family room and kitchen on Tuesday, January 7, 2014. Those piles have since moved around and spread out some. Today my sons went back to school after 19 days off for the holiday break. That is by far the longest grade school break I’ve ever dealt with, perhaps even as long as some college breaks. We had a great time: we did a ton of sightseeing around Colorado, the boys enjoyed time with their grandparents, and had hours…upon hours…upon hours of video game, Kindle game, and TV time. But now it’s time to ratchet all that back and hunker down, at least till Spring Break in 2 1/2 months. One of the perks of their going back to school is that I have the house to myself now for the first time in nearly 3 weeks. I have been able to keep it pretty clean…and sometimes even with their help! But something happens when my sons are home. Little things start to accumulate everywhere. Over the holidays this usually involves stocking stuffers. 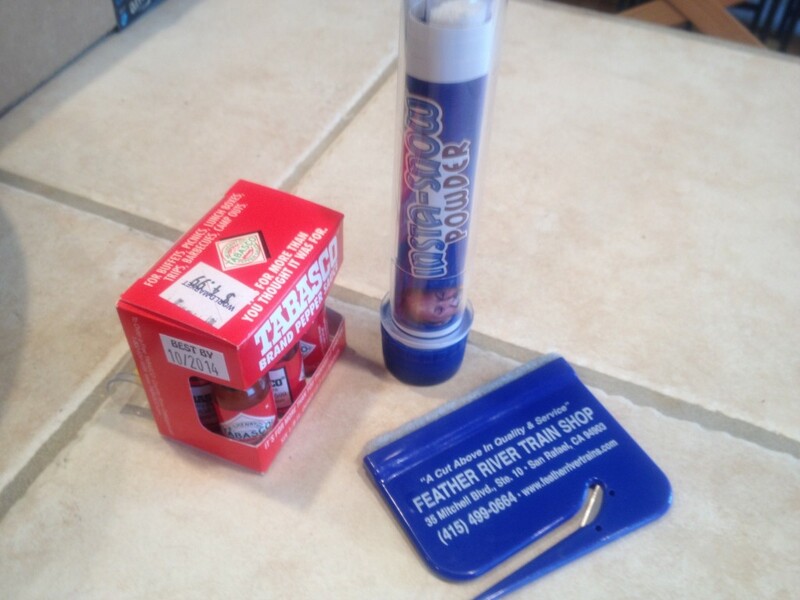 The Tabasco minis and test tube of fake snow were among Jacob’s stocking stuffers. The letter opener is mine. The kids begin to leave little piles of “stuff” all over the house. 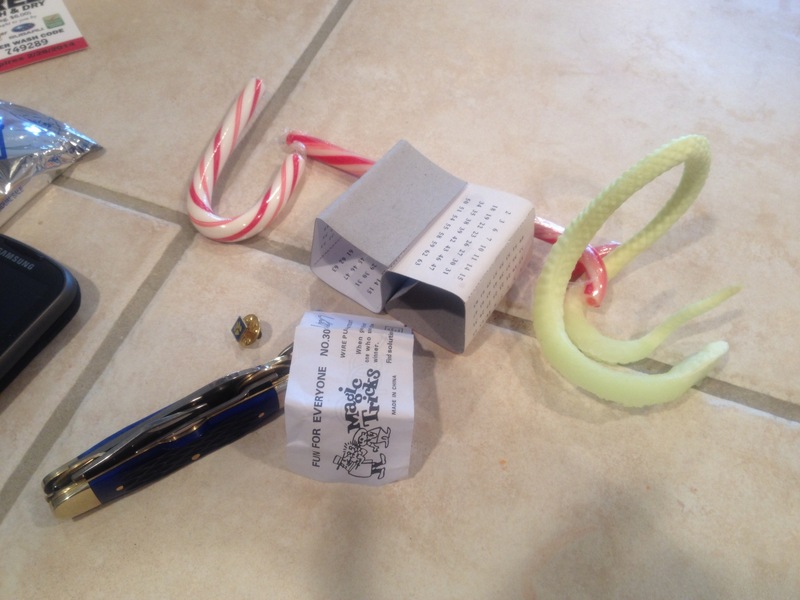 I do my best to keep it somewhat neat and orderly…but believe it or not, the kids are using this “stuff”. They will suddenly play marbles…or pick up a sheet of jokes from our Christmas crackers…or decide to whittle a stick…or enjoy a block of Pez in their new Perry the Platypus dispenser. 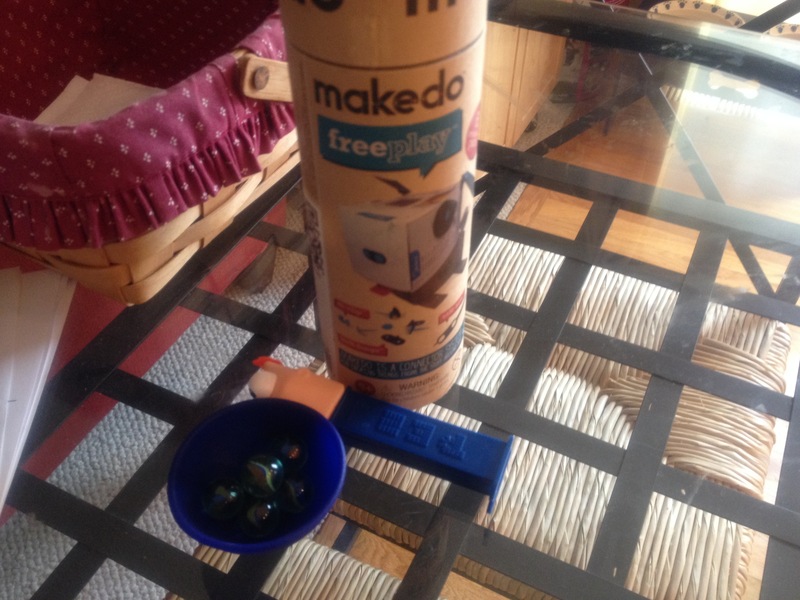 Actually, the “MakeDo” set is my contribution to our piles of stuff. Yesterday I was collecting our holiday Amazon boxes for the boys to use the MakeDo connectors. 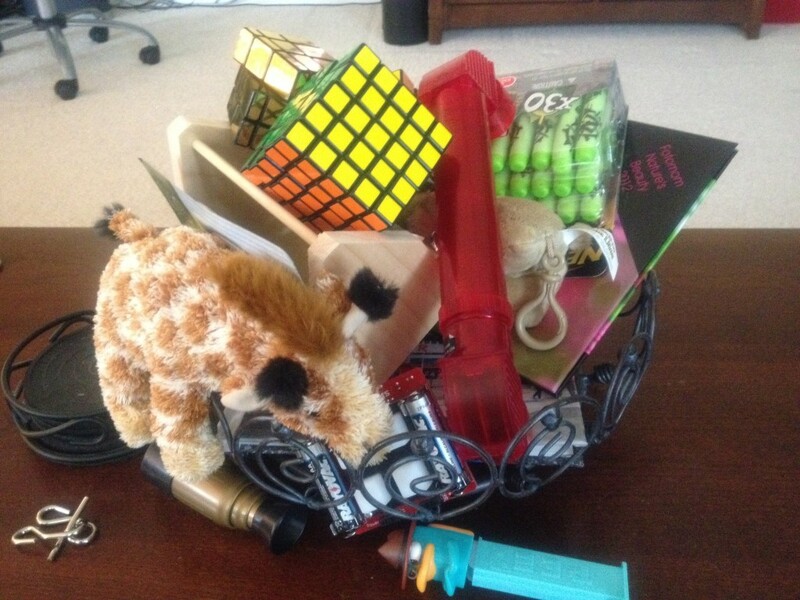 The center of my coffee table has a decorative wire basket that I use to attempt to keep the “stuff” under control. Before long, you can’t even see the basket, you see the pile of Rubik’s Cubes, stuffed animals, SparkFun kits, and Nerf blaster darts. Can you see the basket under there? I try to keep the piles of “stuff” nice and neat at least. But it doesn’t change the fact that it’s still a pile of random “stuff”…and when I visit other peoples’ houses, even with kids around, there doesn’t seem to be this “stuff”. Where do you put it all? Don’t your kids play with toys? What’s wrong with us? Major Mom’s “Back to Basics” Campaign: 30 Days (Almost) Dryer-Free! 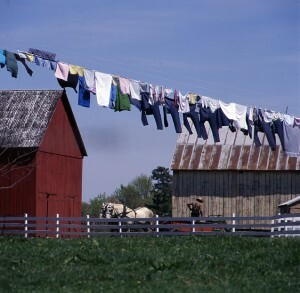 Scenes like this grace the countryside throughout Lancaster County, and it got me thinking about line-drying our own clothes. Close my garage door: I have a habit of leaving our garage door open. The morning sun comes screaming in heating up the space. This makes our garage fridge work harder. Turn off extra lights. MOST of our house uses CFL lightbulbs, but not all of them. The bathrooms have many incandescent bulbs and we need to be better about turning them off. Don’t use my big oven when I can use my toaster oven to do the same job. If I’m just baking chicken breasts, I can pop them in our smaller toaster oven, which does the same job in a smaller space. But the biggest — or at least a top 3 — culprit is probably our clothes dryer. I saw a couple friends take part in a 30-Day Dryer Challenge earlier this year and at the time I thought to myself “No! Never!”, but after (a) this past power bill and (b) driving through the back roads of Lancaster County on a laundry day, I began to mellow to the thought. How about Tide for nearly $12 per bottle (24 loads)??? Or $12 for 40 of those new Tide Pod thingies? I’ve been paying about $7-8 for a bottle of All Free & Clear, which advertised 64 loads of laundry for the size I bought. I only use about 1/2 of the recommended dose (really, it doesn’t take much detergent to cut odors and do cursory cleaning). So lets say I get 100 loads of laundry for $8. So $0.08 per load, right? I figured I’d try this classic recipe for homemade laundry detergent, using less chemicals and additives than what’s in the popular commercial laundry detergents. I first saw this detergent referenced by the Duggar family several years ago…they had made a documentary years before TLC picked them up for a reality show. In the show, the Duggars covered some of the basics of their household: how they did laundry, how the kids chose their clothes, how they grocery shopped and how they cooked. They made brief mention of their homemade laundry detergent. The cast of characters. 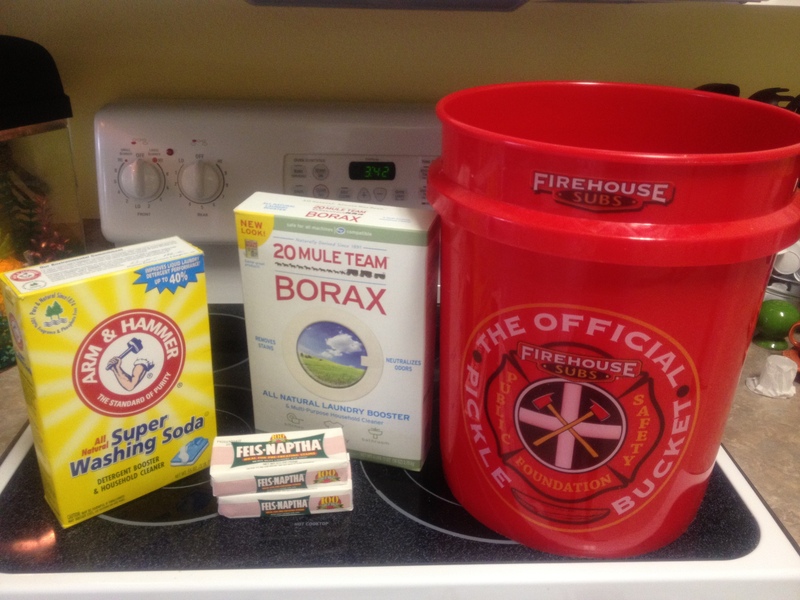 “Washing soda”, Borax, a 3 oz. of soap of your choosing and a 5-gallon bucket. Fels-Naptha is a popular choice for its stain-fighting power. I ended up not using a Firehouse Subs pickle bucket, it smelled too pickle-y, but you get the idea of the size of the container needed. There are several variations on this recipe, and there are different schools of thought on using a liquid vs. non-liquid version of this recipe. If you want to keep it easy, just run the bar soap through a food processor (get one at a thrift shop expressly for grinding up soap so you don’t have to have soapy food) and combine it with the washing soda and borax. Store it and use about 1 TBSP per load of laundry. The thing to watch for with the non-liquid detergent is that the soap may not dissolve too well in cold water washes. If you use cold-water for laundry, I recommend you proceed with making the liquid version. These past two months have been a blur to me. 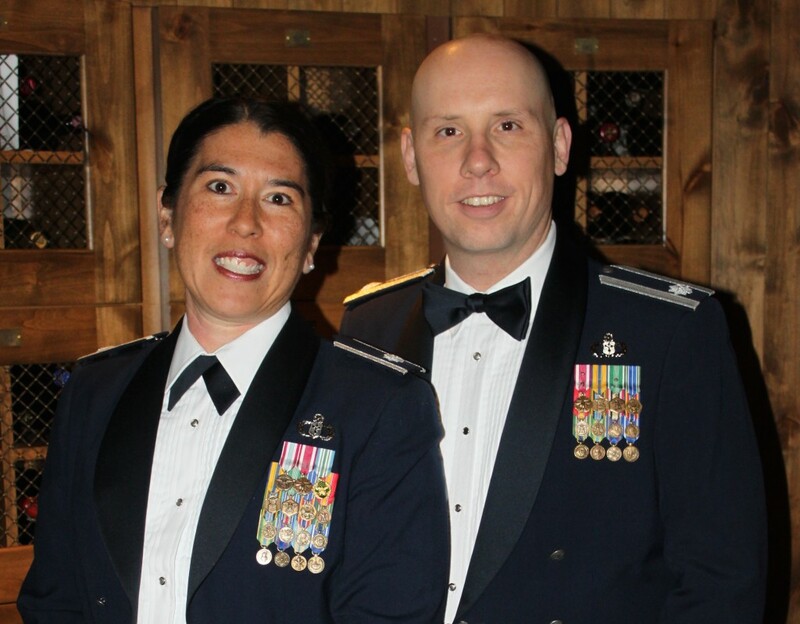 I was busy with both boys in baseball, and my responsibilities with the Hurlburt Spouses’ Club ramped up, as I was in charge of organizing the elections of next year’s officers and a biennal review of the Constitution and other legal documents. Pardon the blurriness. 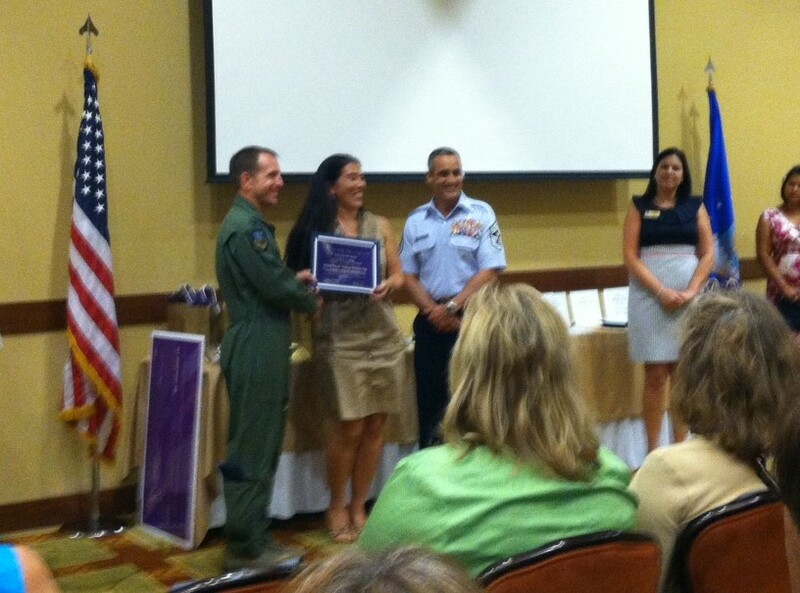 I was recognized by Hurlburt Field earlier this month as a nominee for the annual "Angel Award". 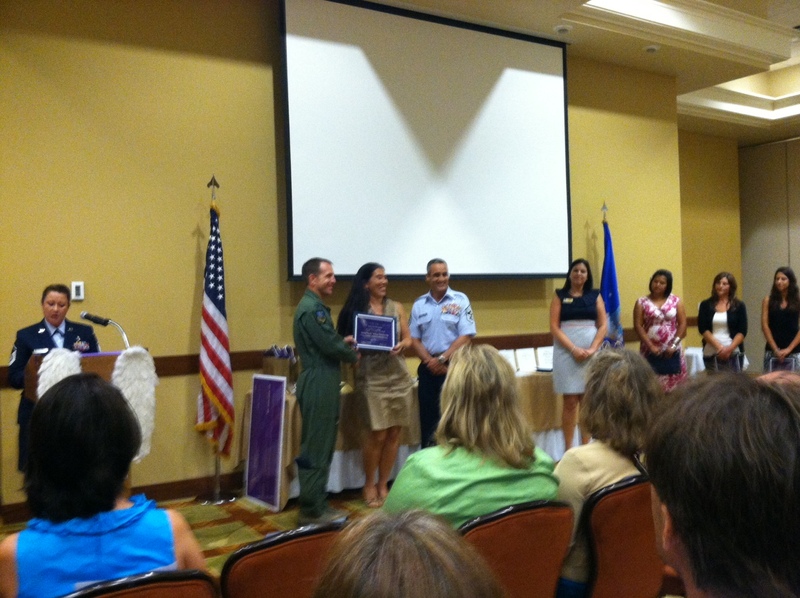 I didn't win (I didn't hold a candle to most of my fellow nominees!) but I was incredibly flattered to be among such amazing volunteers. 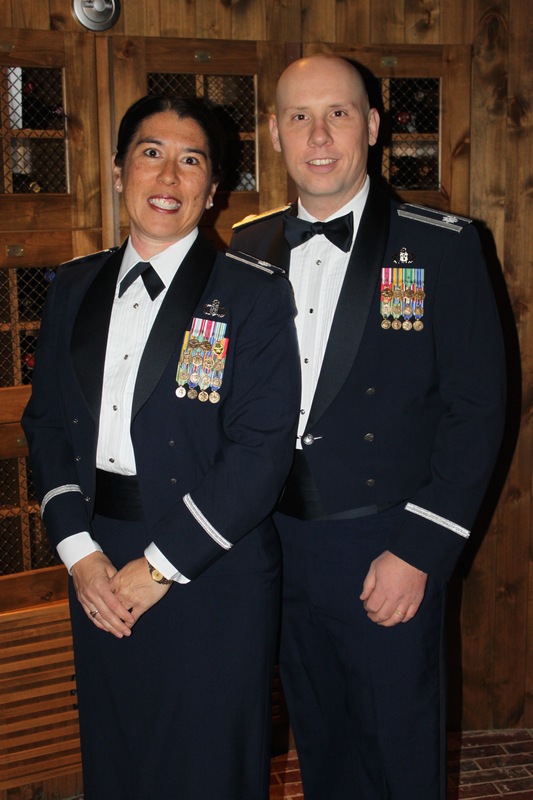 But now it has all wound down, with the new Hurlburt Spouses’ Club officers installed a couple weeks ago, the boys’ baseball and Cub Scouts having come to a close and I have a summer season that I can dedicate to my family. One of the things that really came to a screeching halt in April and May was normal cooking for the family. Our dinnertimes became dominated by the “quick and easy”, from chicken nuggets to Firehouse Subs. With the help of some inspiration from several friends who have embarked on similar cooking/eating journeys, I am going to try to go “back to basics” with our eating. 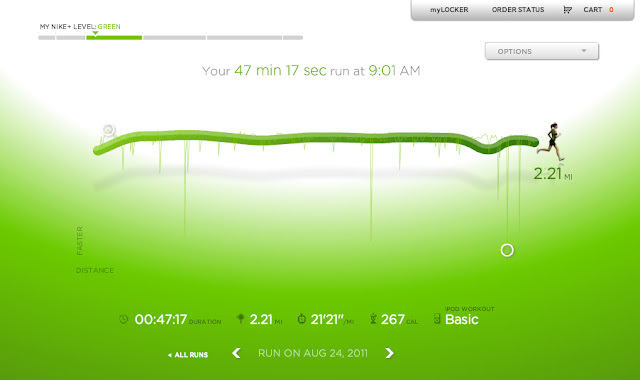 Not a “fad diet”, per se, but just trying to reset my cooking and eating habits a little. By the way: When did the word “coupon” become a verb? I learned that some of these ladies were downright dishonest with the couponing: taking papers from neighbors’ houses, dividing up their transactions to multiply how many coupons they could use, etc. I learned that with those practices, they could cut their food bills down to $20 per week…and even used the stockpiling techniques to build up a balance on their food bill which they could apply to non-couponed foods, such as meat and produce. While giggling at this incredible drama the show applies to these ladies (really? you’re mad that you only saved 96% instead of 99% on your grocery bill? you didn’t want to spend more than $10 on $1000 worth of groceries? then put back 20 of those 50 bottles of mustard! 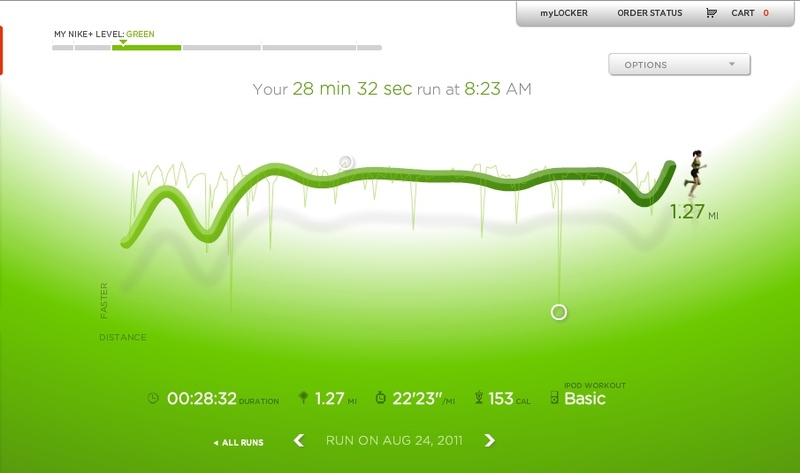 ), I learned that I have really slacked off on the work I used to put into my own “couponing”. Jacob actually gets a kick out of watching the show. Ever the numbers guy, he gets SO excited when they show the cash register reducing that final total. He’s cheering on the ladies and everything! Of the 8-10 profiles of women on this show that I’ve seen so far, I’ve only liked the ones who gave their stockpiles to charity, or to family members. Extreme Couponing was the name for this movement before the TLC show brought it to mainstream America. I used to be a diligent (no, not “extreme”, just “diligent”) couponer from before I got married. Growing up I helped my Mom clip coupons from the Sunday papers, scoured the sale ads and organized everything in Mom’s coupon keeper. I’d see her save 15-20% on her grocery bills, and it was as simple as tailoring our family’s meal plans to what was on sale and what had good coupons. When I grew up and out of my house, I continued clipping coupons. I did most of my grocery shopping at my local commissaries, so there weren’t the same type of sale ads as in civilian grocery stores. It was nice having all those special commissary-only coupons. Also, when we were stationed overseas, our commissaries would take 6-months expired coupons, whoo hoo! I got a bit lazy in North Carolina. I began to shop at specialty stores more (Whole Foods, Trader Joe’s) which features a lot of non-mainstream brands for which you rarely find coupons. We weren’t near a commissary either. Our food bill skyrocketed. I attempted to keep tabs on the sales at our local Harris Teeter and Food Lion stores, but with a newborn and a toddler, it wasn’t a priority in our lives. I severely slacked off clipping the coupons while living in Nebraska. We didn’t subscribe to the newspaper there, which would have been about 1/2 of our coupons. As fuel prices climb, food prices are climbing industry-wide, and my days of spending $80-100 per week on groceries are now OVER. It’s now a struggle keeping the food bill under $150 per week. 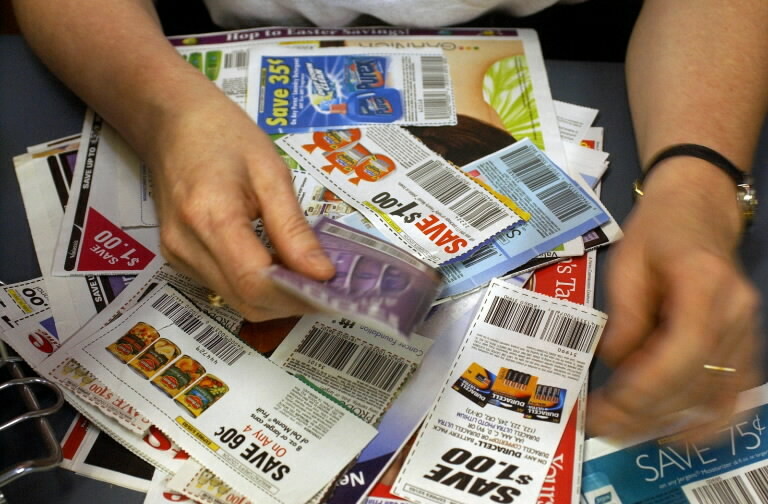 It’s time to get back in the saddle and invest a couple hours per week in clipping and organizing coupons! I don’t have the time, fortitude or space to do the “Extreme Couponing”. We are a military family and stockpiling 50 jars of peanut butter simply isn’t practical. Perhaps if I get more diligent I can apply some of the techniques for charitable uses. I need to take time to get smart on the online, printable coupons available to me. I also need to learn to mix things up a bit and venture into other stores. I recently learned that my local Publix grocery store will take coupons from several competitor stores: Winn-Dixie, Target and Walgreen’s. I found this website that features a “Super Couponing 101” guide. This is probably more my speed and I plan to check it out. How many of you clip/use coupons? Are you an “extreme couponer”? A “super couponer”?